Working hard, but where’s the state backup? No single industry is contributing more to the national economy than life science. However, Denmark neither has an integrated national life science strategy nor a government agency with the explicit mission to ensure that the success continues. The lack of strategy, focus and political ‘support structure’ is contrary to not only other industries – such as agriculture and the maritime industry, which used to dominate Danish industry and still have their own ministry or ministerial agency – but also to developments in neighbouring countries like Sweden and the United Kingdom. These two countries have put life science and it’s investments at the very top of the political agenda. They are both in the process of designing and applying coherent national life science strategies to balance healthcare budgets and educational expenditure, with the enormous growth potential of a future orientated industry – one that depends on R&D investments, access to relevant skills and competencies, and public-private partnerships. In the UK, the current and former Conservative-led governments have a national minister for life science named George Freeman. And he’s not a backbencher who has been waiting for his turn for decades, but an experienced professional with an impressive track record and a 15-year career across the life sciences sector working with hospitals, clinical researchers, patient groups and biomedical research companies to pioneer novel healthcare innovations. 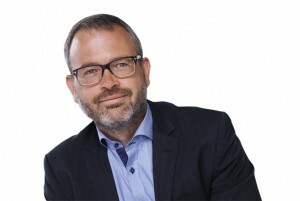 In Sweden, the responsibility for the national life science strategy has been placed in the hands of a man called Anders Lönnberg, who was appointed national life science co-ordinator. The title is misleading as Lönnberg is much more than a ‘co-ordinator’. His appointment is the result of focused political dedication and investment. He is, similarly to the UK minister, a professional with substantial industrial experience, as well as employment at governmental offices, who now heads an ambitious group of top experts from the public and private life science sectors. I sincerely hope we find such a job for this sort of profile in Denmark as well.